Celebrate the story of Easter with our Easter Story Kit. This fun activity is great for the youngest to the oldest in the family. All the gifts in this wonderful collection contain exclusive, full-color artwork and are sure to be a hit with kids of all l ages. 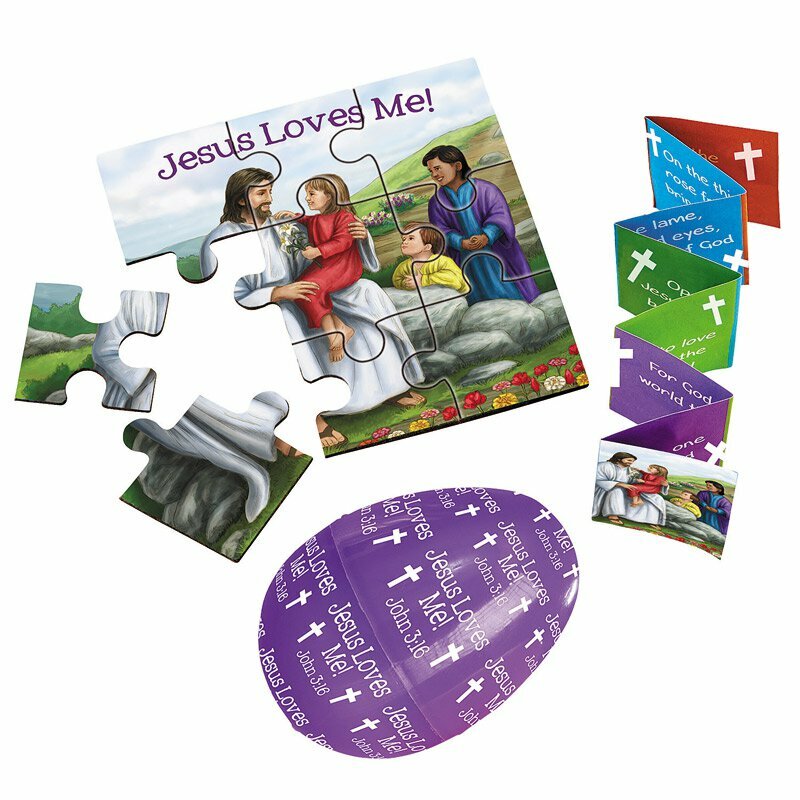 Each plastic egg includes a small puzzle and booklet about the Easter Story. They make perfect basket stuffers and will help children learn about the meaning of Easter.